"Potential zoonotic schistosomiasis transmission could have a large impact on the control of schistosomiasis. In 2014 there was an outbreak of urogenital schistosomiasis on the idyllic Mediterranean island of Corsica, France. 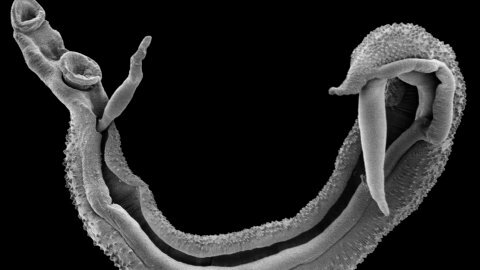 Researchers were able to capture these Corsican hybrid schistosomes and breed them in the laboratory (University of Perpignan), providing unique material for the first genome wide investigations into these hybrid forms."